Even in “no-fault” states, a lawyer can help you negotiate a better settlement to getting compensated for the injuries you have suffered to no fault of your own in an accident. Every state has a statute of limitations for filing a claim, so don’t delay. Having legal representation is the best way to make sure your rights are protected. To find out how much you can expect to receive if you succeed in your claim, contact our Law Office. Arrange for a free case evaluation with our Car Accident Lawyer today! A Personal Injury Claim is a civil (tort) lawsuit alleging that the defendant caused injury to the body & mind. The most common types of personal injuries are from Car Accidents, Truck Accidents or Accidents at the workplace. Call our San Antonio Car Accident Attorneys today. Some of our Attorneys are Board Certified in Personal Injury. Stopping at a red light is a responsible precaution in avoiding a traffic accident, but disregarding traffic signs and laws could find you facing a personal injury law suit for an Auto Accident you caused. At that point the other party that you rammed your car or truck into, most likely will call one of the better San Antonio Car Accident Attorneys of our Firm. The Lawyers at our Law Firm love to defend Car Accident Victims, where the other party had nothing better to do then checking their cell for text messages while going 65 miles an hour in a 45 zone. Or even better, driving while hammered and causing a bad accident. Having the right Lawyer as your Partner CHANGES EVERYTHING! 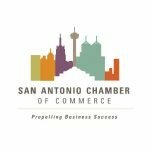 If you have suffered injury in a Auto Wreck in San Antonio or Laredo or anywhere in Texas due to the negligence of another Driver, a variety of compensation may be available to you either through a negotiated settlement or from a judge or jury through a court trial, but you have to have good representation from our Law Firm. Compensatory damages can cover a number of areas: medical expenses, lost income, property loss, pain and suffering caused by physical pain during and after the accident, emotional suffering caused by the psychological trauma of the event. Loss of enjoyment because one cannot partake in his or her usual hobbies due to the injury. Loss of consortium when the injured party suffers loss in his closest relationships because of the harm caused. The average driver will file an auto accident insurance claim for a collision every 18 years, which can easily take place three times over the course of one’s driving life time. In 2010, the average claim for injuries to cover both the insured driver and others involved in the crash had risen to more than $23,000 largely due to rising medical costs, according to the Insurance Research Council, a nonprofit research group. But what happens if the insurance claims don’t meet your medical bills? Or if your pain and suffering resulted in other losses not met by the insurance coverage? Should you have been party to an car accident, contact the police first if you can, then your auto insurance company. After the dust has settled and you found your composure, think of the ramifications of this incident and consult with a personal injury attorney if needed. Should you suffer bodily injuries during an traffic accident to no fault of your own, most state laws allow you to file a personal injury case in order to be reimbursed for your pain and suffering. Our Car Accident Attorney will help you. Drivers pay as much attention to a text they’ve just received or to check information on their navigation device as they do the road and actual driving conditions. These distracted drivers cause auto accidents. A main cause for distraction and consequently getting in a Vehicle Crash remains to be the cellphone, so please put it away for the duration. According to distraction.gov, in 2011, 3,331 people were killed in crashes involving a distracted driver, and an additional, 387,000 people were injured in motor vehicle crashes involving a distracted driver. For Texas Roadways the death rate from Vehicle Crashes increased by 10.82% to 3,399 in 2012 to the prior year. In part the population growth that Texas has experienced in 2012 may have to do with that. We had an influx of 426.400 people. I don’t think it would be fair to blame this increase for greater then 10% increase in car accident fatalities in Texas. Driver distraction mostly younger driver do contribute a large segment to these sad statistics. More teenagers die in Traffic Wrecks then die from any other single cause. We had 63,610 serious injury vehicle crashes with 87,087 individuals being severely injured. That translates to one person being killed every hour and 35 minutes. A person is injured every 2 minutes and 17 seconds. Every 75 seconds a reportable car crash occurs. 230,506 people in total we injured in auto crash in Texas for the year 2012. Rural areas were the largest contributor to traffic fatalities with 55.7% or 1,892. Single vehicle, run-off the road accidents show with 1,315 deaths in 2012. There was not a single day in Texas in 2012 that didn’t have a traffic accident death. Sunday July 22nd was the deadliest day in Texas with 28 persons to die in traffic crashes. As an update according to Txdot. 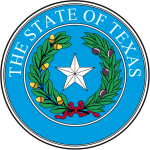 in the year 2013 on Texas Roads we had 3,377 accident death reported. That’s a bit of a decline from 2012. Exactly 36 less traffic deaths in 2013. Still these are rather sad statistics. Now, the number of individuals injured in a car/truck/motorcycle crashes in Texas out of 65,539 accidents were 89,720 people seriously injured. This translates in 1 individual killed just about every 2 hours and 36 minutes. An injury occurred about every 2 minutes and 16 seconds with a reported accident happening avery 71 seconds. Drunk driving incidents are still bad 1,089 individuals were killed in traffic accidents where a driver had consumed alcohol. This is just about a third of the total fatalities. The magic hour for the DUI accidents is 2am till about 3am with most occurring on Saturdays. 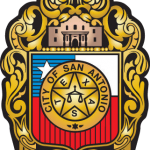 San Antonio has a sad record in Texas for 2011 ranking 2nd after Houston with 28,212 vehicle crashes. With a total of 107 fatal accidents with 111 fatalities. 2,688. 6,143 serious injuries and 19,990 other injury cases. To top all that San Antonio is leading the State of Texas in DUI related Car Accidents. 1,771 cases, resulting in 45 fatalities and about 650 serious injuries. These statistics really bring it home. Despite the Law that drivers must wear seat-belts, research shows that only 54% actually use them. Driver fatigue, drunk drivers, and reckless drivers also cause accidents and fatalities every day on the road. In these instances, a judge may even reward the victim punitive damages in addition to compensatory damages to further deter a continuation of the egregious behavior by the responsible party. But in order to get there you need to contact the San Antonio Car Accident Attorney. No two personal injury claims are the same. When you work with our firm, you will find that we will take care in providing you with the one-on-one, compassionate service and attention you need. We take the time to understand what our clients are going through and will be sure to answer our questions and address your unique needs as we handle your case. Schedule a consultation today! Should you need help with Construction Law please visit my good friend Brian @ The Law Firm of Brian Woods here in San Antonio. For Bankruptcy Services and Debt Relief David T. Cain should be the one to call.